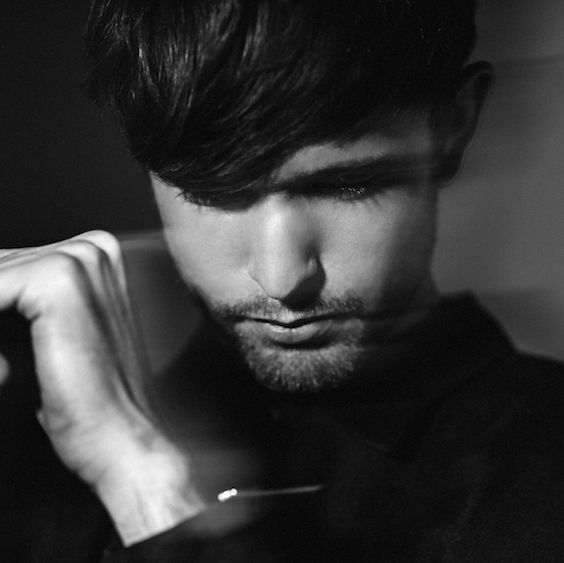 After the colossal success of his first three albums, James Blake has reinvented his entire artistic process and managed to produce the best work of his career so far. The stunning Assume Form, an album about the power of love and relationships, builds on his reputation of being one of music’s most essential collaborators, while showing the world his growth as a solo artist. Blake, a founding member of the 1-800 Dinosaur label collective, was first introduced to the world with his self-titled debut in 2010. In 2013, he released his follow up, Overgrown, which won him a legion of fans and a nomination at that year’s Grammys for Best New Artist. His 2016 album The Colour in Anything was a bracing continuation of his work that bent the borders between electronic music, R&B, and U.K. soul. One of our generation’s strongest live performers, he’s played venues such as The Sydney Opera House, Radio City Music Hall and Glastonbury Festival. He decided he would focus on working as a collaborator to some of the artists he admired most. In 2016, he worked with Beyoncé and Frank Ocean, on their respective industry-shattering projects Lemonade and Blonde. Luckily, the start of this creative leap coincided with the beginning of his healing process. “If that all had happened during the time before,” he said. “I wouldn’t have been able to really feel it. I was starting to get flickers of appreciation and feelings of what was really happening instead of walking through it numb.” He followed those achievements with work on Jay Z’s 4:44 in 2017 and teamed up with Kendrick Lamar on 2018’s Damn and the OST for Black Panther, helping craft streaming sensations “King's Dead” and "Bloody Waters.” On Travis Scott’s massive 2018 hit album ASTROWORLD, Blake’s vocal on “Stop Trying To Be God’ was a critical highlight, and the duo performed together at the 2018 MTV Video Music Awards. “Barefoot In The Park” is a reflection of how he’s grown so much as a collaborator. The song features Catalonian impresario Rosalía who lends her very specific blend of modern flamenco and R&B to the track. After discovering her music and playing it for all of his friends, Blake says she actually reached out to him to get in the studio together. “[The album] was in my brain,” he says. “I was like, yeah, of course I want to make music with you, are you joking?” Blake momentarily sings in Spanish on the track — a career first for him — proving that there are no boundaries to his musical skills. While these collabs have added new dimensions to his music, the most profound impact on the tone of his new work has been his relationship with actress and activist Jameela Jamil. “It's hard to describe how much Jameela means to me,” he says. “I think other people who are in love with somebody in that way or have found somebody who really brings them peace will identify with this album.” While getting through that aforementioned dark period, it was her who stood by him while he restored balance to his life, making better overall and sober choices. As Blake himself explains, this album is about his biggest life achievement so far — reaching some kind of peace by being his most authentic self. That’s a message that everyone can appreciate this decade and one that seems timeless, too.